SKU: COS104 Categories: Body Health, Body Slimming, Detoxification Brands: Oriyen. 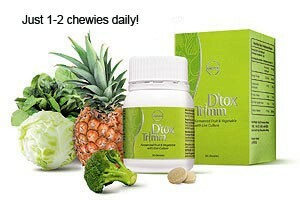 ‘ ay goodbye to a sluggish system, sallow complexion, lack of energy and excess weight with Oriyen D’Tox Trimm. Made entirely from fermented vegetables, fruits, nutrient-rich plants and friendly bacteria, Oriyen D’Tox Trimm is a convenient aid that helps you maintain a healthier lifestyle. It is relatively easy to eliminate water-soluble toxins from our bodies, but most toxins in our bodies are fat-soluble and hard to eliminate. Fortunately, some of the important sulphur-containing components found in cruciferous plants (broccoli, cabbage, etc.) can convert fat-soluble toxins into the more easily eliminated water-soluble toxins. When you eliminate these toxins, you will feel refreshed, energised and rejuvenated. It will also improve your skin, and alleviate most of your health problems. Plus, you’ll be overjoyed to see those stubborn fat bulges disappear! D’tox Trimm is prepared from fermented fruits, vegetables and other plants (including broccoli, black dates, cabbage, cactus, cassia, chlorella, fennel, ginger, green papaya, kale, liquorice, mulberry, oatmeal, pineapple, parsley, spinach, spirulina, soybean, wheat grass) along with healthful friendly bacteria that help to accelerate internal cleansing and facilitate the total detoxification process. 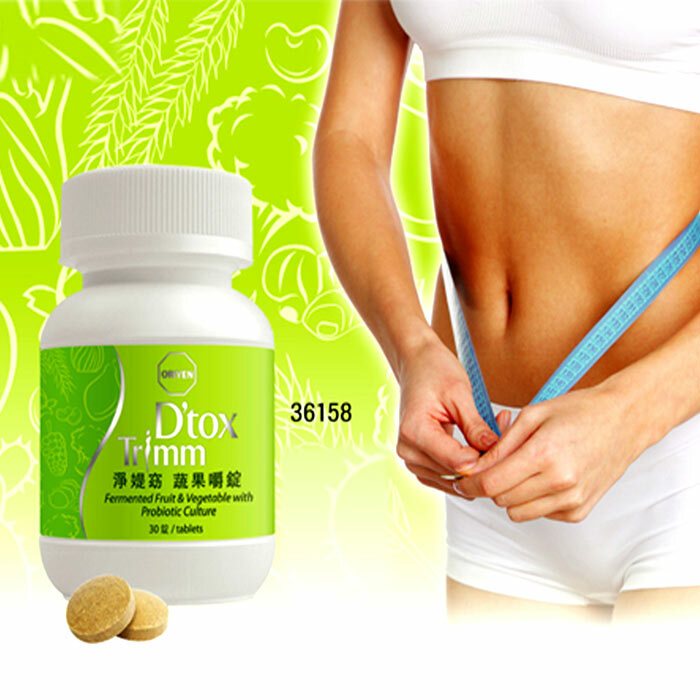 The sulphur containing compounds of the fermented vegetables in D’tox Trimm aid in the Phase 2 detoxification process of the liver to convert fat-soluble toxins to the more easily eliminated water-soluble toxins. At the same time, the friendly bacteria in D’tox Trimm improve bowel movement and enhance waste elimination and minimize toxin absorption by the body. 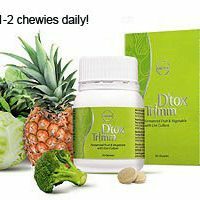 D’tox Trimm is made from all natural ingredients that will not cause dependency and damage to the colon lining in the long run. D’tox Trimm is made of fermented vegetables, fruits and other plants with friendly bacteria which are not only safe but also beneficial for long term consumption. 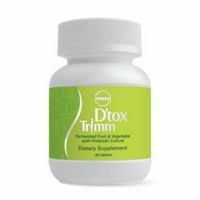 D’tox Trimm helps to promote smoother bowel movements without causing severe diarrhoea or cramps. It also helps to ease constipation. For those who are more sensitive, they may experience some loose stools. In general, slimming results can be observed after a couple of weeks. However, the extent of improvement may vary among individuals depending on the severity of their toxic waste problems. Most people experience a flatter tummy and smoother bowel movement in as early as the first week after taking this product. Slimming products are usually not recommended for pregnant women and children. D’tox Trimm can be safely taken by breast-feeding mothers and children above the age of 12. Take 1-2 tablets, two hours after dinner with at least 30ml of water.